Land Rover has released a new ultra-versatile commercial version of the Discovery. 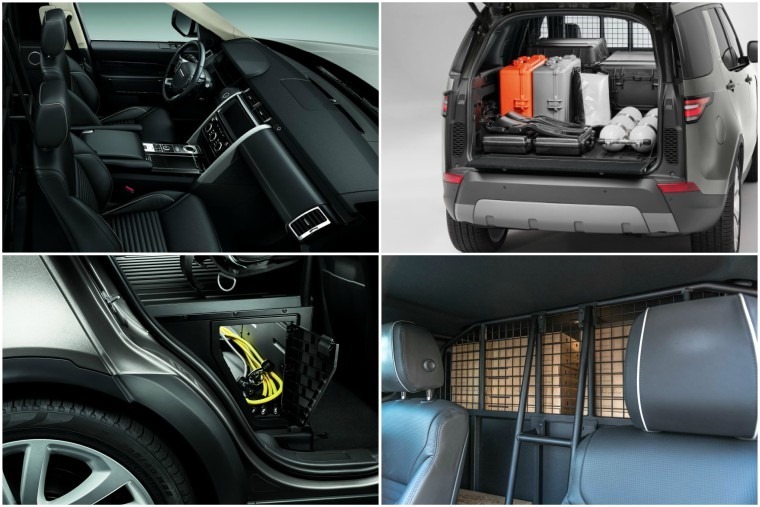 It boasts 1,856 litres of flexible load space accessed by powered tailgate and can come equipped with efficient and clean 2.0 litre Ingenium or 3.0 litre V6 diesel engines. Available to order now, Discovery Commercial shares the fundamental underpinnings of the Discovery – from its wide-spaced double-wishbone design at the front to its advanced multi-link layout at the rear, the Discovery Commercial’s suspension delivers more responsive handling without compromising Land Rover’s hallmark all-terrain capability and makes all journeys confident, comfortable and engaging. 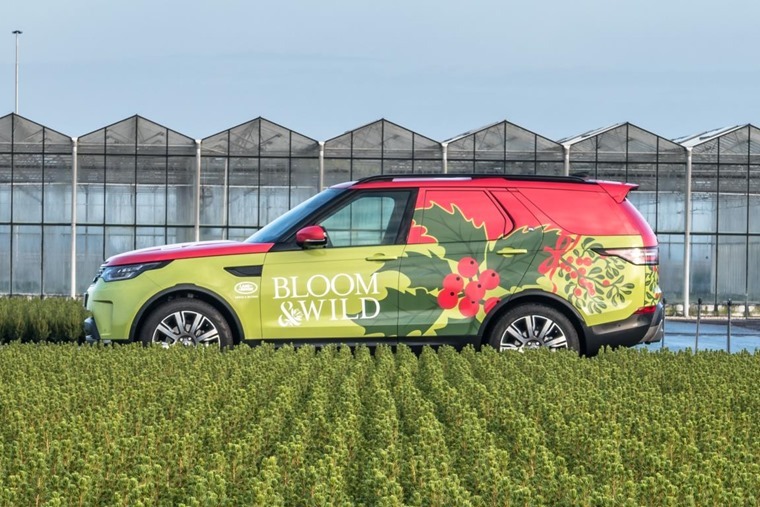 Coming exclusively with four wheel drive, automatic transmission, twin-speed transfer box, air suspension and a full-size spare wheel, Land Rover’s unique Terrain Response systems also optimises the vehicle’s engine, gearbox, centre differential and chassis systems to match the demands of the terrain. Having replaced the second and third row seating with 1,856 litres of hard-wearing load-space which measures 1,635mm long, 939mm high and 1,411mm wide, the vehicle retains the exterior design of Discovery with rear window concealment panels masked by privacy glass so it can be undistinguishable as a commercial vehicle if desired. 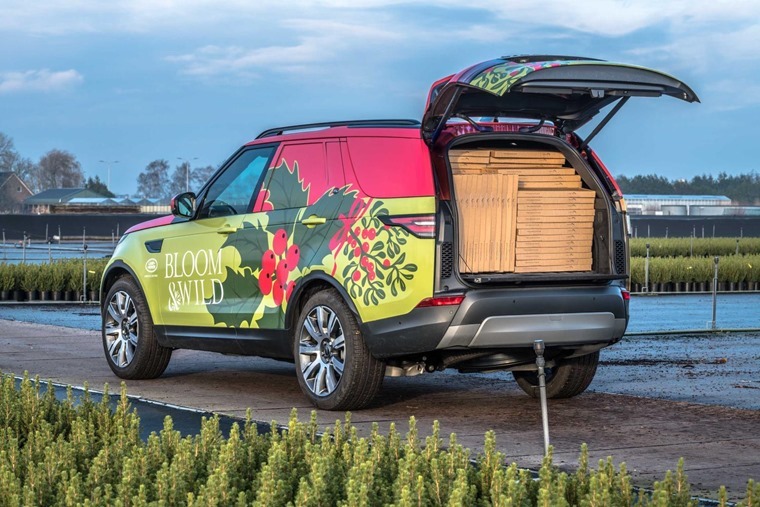 Watch how many @BloomandWild #Christmas trees can you fit in the new #Discovery #Commercial. Priced from £48,695 on the road with a P11D value of £8,066.67, Discovery Commercial is available to order now.